Saturday Lauren Kitchen raced the Rabobank 7-Dorpenomloop Aalburg (1.2) in the Netherlands with the Australian national team. After 65km a group of six escaped including our Lauren and Marianne Vos (Rabobank Liv). With 10km to go Lauren and Marianne attacked the group and stayed away until the finish. In the sprint Marianne was the strongest, seeing Lauren in a great 2nd. Anouk Rijff (Lotto Soudal) won the sprint in the group behind to take the last spot on the podium. 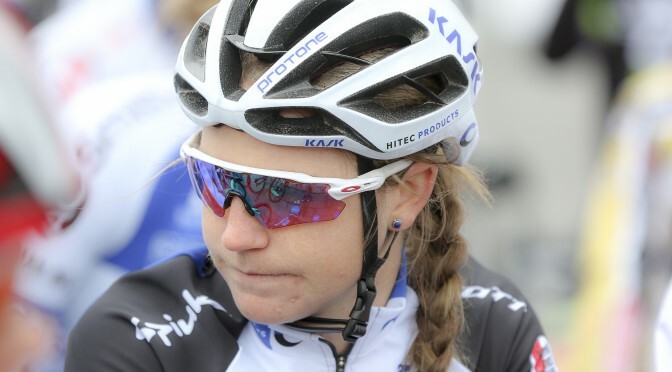 On Sunday Lauren raced the Trofee Maarten Wynats (1.2) in Belgium where she finished to another great result. In the sprint she finished 2nd behind Lotte Kopecky of Lotto Soudal with Kelly Druyts (Topsport Vlaanderen ProDuo) completing the podium.